Small businesses are recognized as innovators and employment generators. Their success and growth is critical to the health of America’s economy. However, small businesses sometimes encounter difficulties securing long-term financing at affordable interest rates. Recognizing an opportunity to provide support, the Small Business Administration (SBA) offers businesses, and lending institutions that partner with them, an additional financing option with the SBA 504 Loan Program. It is the job of the Economic Development Foundation (EDF) to encourage the use of 504 lending throughout Michigan. A long-term, fixed-rate financing tool created by the U.S. Small Business Administration to help businesses purchase owner-occupied commercial real estate and equipment while retaining working capital. 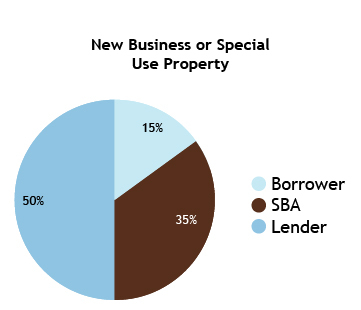 The SBA 504 loan puts financing within reach for small businesses through low down payments and long-term, low, fixed interest rates. 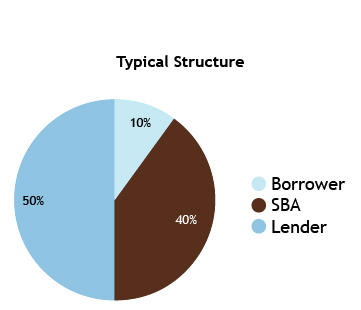 It also reduces the risk to lenders through a shared financing structure. 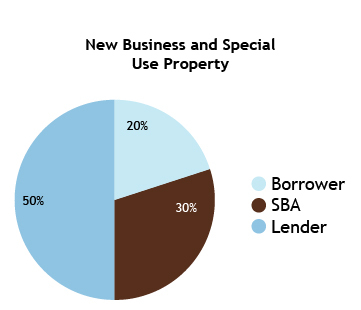 The SBA 504 loan boosts business expansion and supports economic development in communities nationwide. Passive income and real estate companies, financial institution, non-profit businesses and casinos. *10% down is usually in the form of cash, but existing equity in project land or a facility may count as part, or all, of the contribution. The minimum down payment may increase to 15% for ‘startup’ businesses (less than two years old) and specialized, single-purpose properties (such as a gas station) or increase to 20% for businesses that are both start-ups and single-purpose properties.